It’s the run up to Christmas, so why not have a look at some nice little light-reads to enjoy with a hot chocolate or mulled wine! Our latest blog post looks at the recent Geological Curators’ Group conference held at the National Museum of Ireland in Dublin. Get a glimpse into some incredible collections, written by Emma-Louise Nicholls, in Making the Most of a Move. 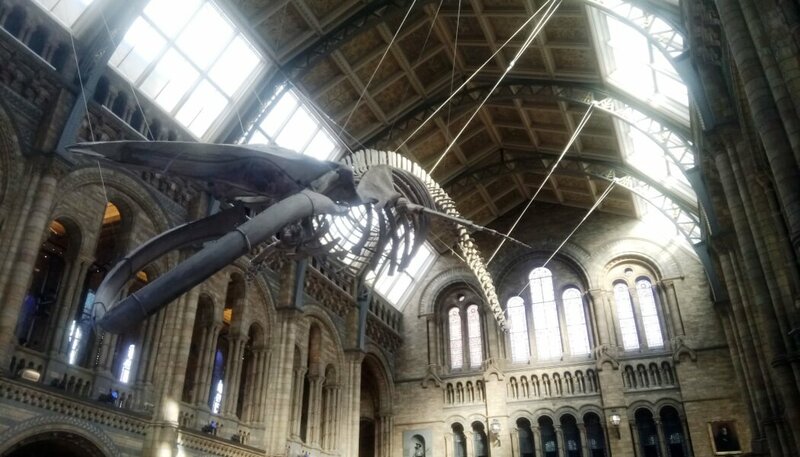 Jack Ashby, Manager of the Grant Museum of Zoology at University College London, wrote an interesting piece on why museums are actually quite bias places! Where is the gross stuff? Where are the small things? A fun and interesting read and may make you think again when you put together your next display! Four ways natural history museums skew reality. Dippy is gone. Hope is here. Jan Freedman wrote about the new displays in the central hall of the Natural History Museum, London, and how there is hope for the future. The beautiful blue whale on display in the Natural History Museum, London. Named Hope, she inspires hope for the future. The Art Fund has just launched their new round of funding for their New Collecting Awards. The grants aim to support curators across the UK to build critical professional skills by pursuing new avenues of collecting for their museums. This grant offers funding for focused collecting projects to expand museum collections of fine art, design or visual culture into exciting new areas, or to deepen existing holdings in imaginative ways. Each awardee also receives a generous funding allocation towards research, travel and training costs to facilitate their proposed collecting plans and professional development. The deadline for applications is 13 February 2018. Please see here for further information on aims, eligibility and how to apply, and here for details of previous awardees and mentors.